Bought over lucky draw tickets from a staff of this trip at RM1800 for two. On 25 June 2005, 5 pm, we departed from home to Senai airport. We board 1840 MAS flight to KLIA. At 2030, we met up with our tour leader: Ms. Fiona of Travel Master. At 0045, we board on Korean Airline KUL/ICN KE672 to Seoul. On 26 June 2005, we were served American breakfast on board before we landed at Incheon airport at 0810. (Korean time is 1 hour ahead of Malaysia). Upon arrival, we were greeted by the local tour guide and transferred into a coach to start our first destination-Imjingak- a border between North Korea and South Korea. We were informed about the cruelty of humanity separation due to political reasons of this two countries in 1950s. 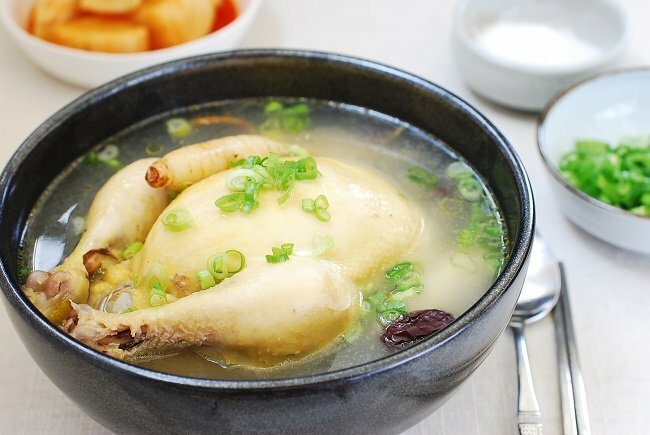 Later, we proceeded to have our first Korean lunch- Ginseng Chicken Soup. This food was quite delicious but the portion was too large for me. After lunch, we went to Famous Casino Walker Hill Resort Hotel which was the film site for Korean drama-Hotelier. We did not watch this drama. Hence, we had no attachment at all while visiting this hotel. Nest, we took a roofless boat ride to Nami Island. We enjoyed a leisure canopy walk and took lots of photos. Those houses in this ‘forest were simply enchanting and picturesque. 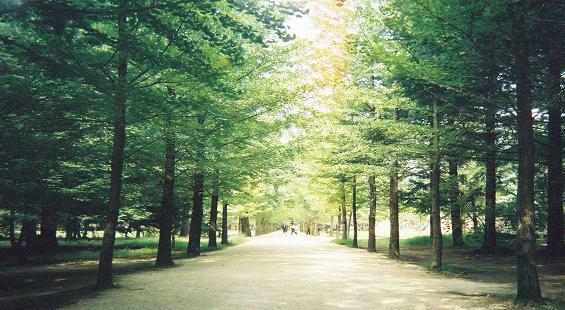 Again, we were told this site was the outdoor shooting site for Korean Drama- “Winter Sonata”. Before checked into the hotel, we had our barbecue chicken dinner at ChunChuan. This cuisine was delicious and appetizing. That night, we stayed in Vivaldi Part Resort Condo. It was a unique, cozy, tatami style. There was a ski site for winter. On Day 2, we enjoyed a sumptuous American Buffet Breakfast in this resort hotel. It was a rainy morning. Hence, we couldn’t walk out to enjoy the greenery of Spring Ski site. We started our first visiting to Kim Chi Factory. 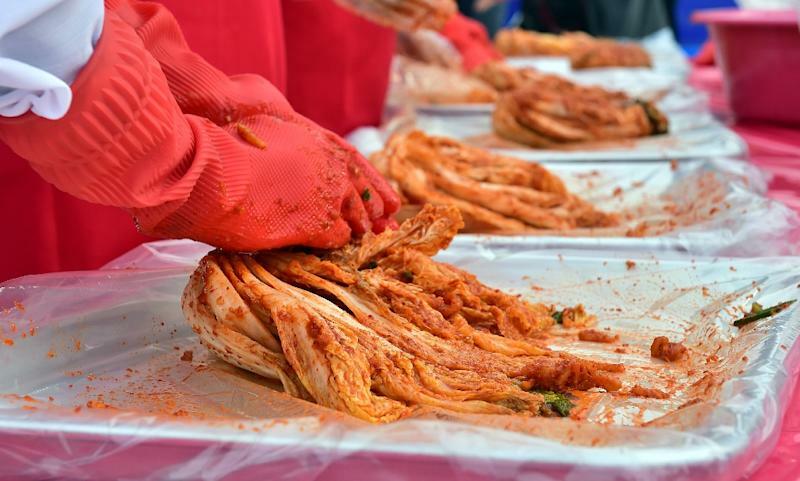 Tourists could join in to make KimChi and brought home. 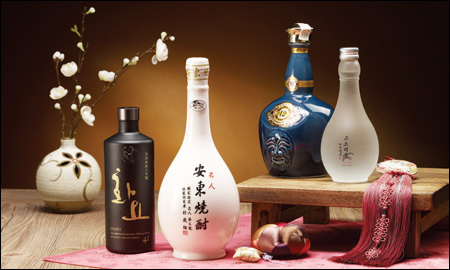 We were served ginseng-milk and wore Korean Traditional Costumes for photographing. Our second destination was Herb Land at Lavender Garden. This was the only one place in the world which grew 550 types of herb species out of 3,000 types in the earth. The herbs were classified into different tour themes. We had a special ‘flower bop lunch”. We ate ‘colourful petals’ as dishes. After lunch, we proceeded to Jeonju Mt Maisan (Horse Ears Mountain) which was located at the east of Jeonjin. It names ‘horse ear’ as the location was built between two mountains which resembled two horse ears. 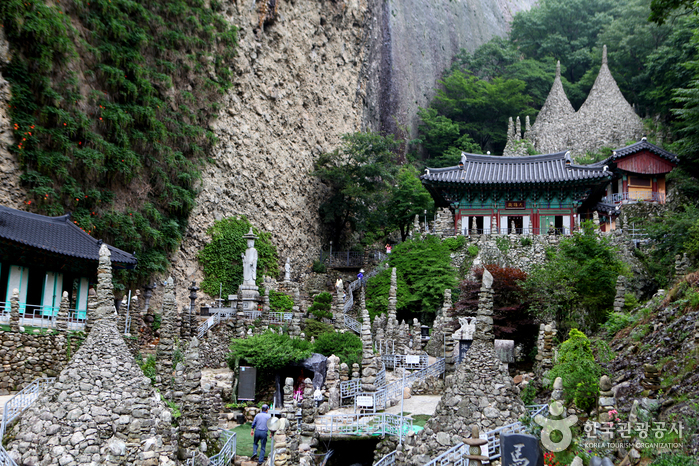 Nestled at the foot of this mountain was Taspa Temple, with its stone pagodas that rose up to 10 meters high. We took a twenty- minute walk to reach this destination. The surrounding was very peaceful, tranquil and calm. In the evening, we had dinner at Jeon Ju. We enjoyed Korean Traditional Imperial Feast- a variety of small dishes with rice. We had an early checked-in to Jeonju Riveria Hotel. Since it was still early, we took a stroll to the nearby arcade. We stopped by some stalls and sundry shops which still sold fresh fruits and vegetables at the late hour. We bought some seaweeds and a peach. 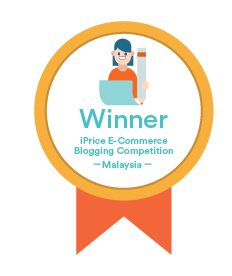 The price was quite reasonable. On Day 3, We had our American Buffet Breakfast in the hotel. Our first itinerary was a 5-minute walk to Korean Traditional House Village. This village was quite similar to Chinese Shi He Yuan. There was a Main Hall in front, maids’ quarters and kitchen were on the right-hand side. Whereas on the left would be children’s rooms. Far behind the main hall was the Master bedroom. All the four blocks were arranged in a square with a void/air well in the middle. Below each sleeping areas were high-up area with cabin/ containers especially for steam and smoke to heat up the dormitory during the winter season. Later, we visited Traditional Alcohol Liquor Museum. We watched how the Korean wine was made. The ingredients were mainly wheat, rice, grain, barley. Grape, strawberries, and pear to be fermented together become alcohol. We bought a bottle of Strawberries wine for testing. After lunch, we continued our visiting by coach to Yon Gin Everland in Seoul. This place was famous for Festival World Theme Park. We enjoyed watching the beautiful rose festival. Besides entrance fees, we were required to pay an extra of 48,000 won (RM150.00) to purchase 5 theme park tickets for two. We used the first ticket to experience Global Village Dance performance by taking a boat ride to watch different dolls wearing different national costumes, dancing joyfully in beautiful melodies under the sound of music. (American, Canadian, Mexican, Swedish, Swiss, British, Scotish, Italian, German, Spanish, African, Chinese and Korean). Our second ticket we spent on Safari World. 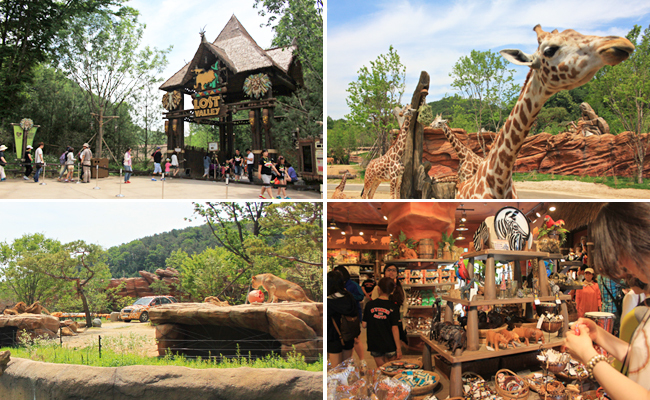 We took a enclosure bus ride into the wild animal kingdom. We were stunt to see liger ( a new breed of Lion father with Tiger mother), lion head with tiger stripe body. However, we were entertained by bear feeding and demo shows. Our third tickets were spent on the most exciting experience was Amazon Adventure. We sailed around boat cruising, entertaining with wild animals’ roaring, python and Tarzan screaming. Next, we indulged in self-play “pong-pong zhe” crazy driving and lastly, we took a train ride around the rose garden with kiddy who were very well-behaved and discipline. About 6 pm, we ended our fun trip by transpiring back to Seoul. We did our shopping at Dongdaemun Shopping Street. We had Chinese Cuisine; ”Char Chiang Mian” (35,000 won) and “la Mian” (40,000 won) as our dinner. Plain water was provided F.O.C. We bought some local souvenirs. Mostly metal chopsticks and Korean Dolls. We stayed in Capital Hotel. On Day 4, We had breakfast in a Chinese restaurant. The dishes were soya bean soup with porridge, sour bean, scrabble eggs and some salted vegetables. After breakfast, we visited 2002 FIFA World Cup Stadium. Followed by National Ginseng Outlet and Amethyst Topaz Factory.After lunch, we proceeded to shop at Itaewon Shopping District until 4 pm to catch up a live show: “NATA”. Nata was performed by 4 actors and 1 actress about: lanthanide. The show delivered a kitchen story, preparing dishes for a wedding banquet. All the actors used various kinds of kitchen utensils to produce wonderful music. It was indeed an enchanting, exciting, stress-free live show. 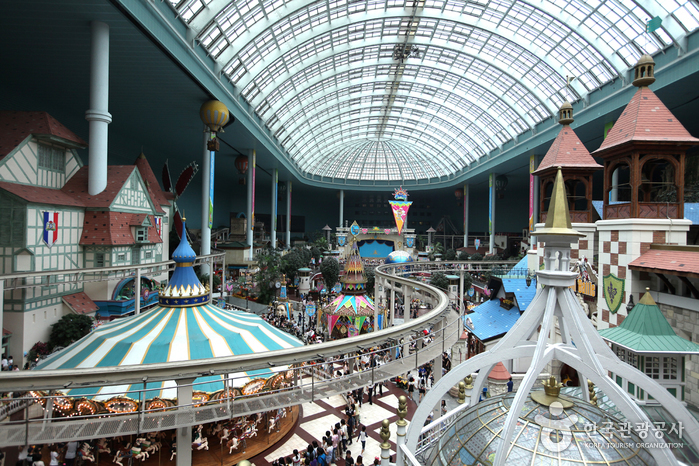 Immediately after the show, we were transferred to the World Biggest Full Scale Indoor Theme Park- Lotte World. This futuristic park of adventure would rival Disneyland in the United States and Japan. We took a boat ride on Sinbad Adventure to experience a scary, exciting and fearful rescuing the princess from a horror trap. Next, we also enjoyed watching the Global costumes parade and dances. We had a chance to get into a hot-air balloon and also watched 4-D theater show, experiencing the underworld/ocean adventure with the Little Mermaid and Turtle Michael. We enjoyed Japanese Undo dinner in this theme park while appreciating the Laser show about the global world. Last but not least, we took a train ride to go around the park while indulging in Pilipino live band performance. We had a hectic full day tour and ended our day with cup noodles in Capital Hotel. On Day 5, we had our own breakfast. We ate Korean Bread with jam and orange juice. Later we checked out and proceeded to Kyonbok Palace and Presidential Blue House. We took some photos and visited the souvenir shop. We have informed the election of President is once a year and only served 1 term. After that, we proceeded to The National Folk Museum of Korea. We gained a lot of knowledge about Korean History. We got to see how the emperor’s lifestyle. In fact, there were no indigenous folks in Korea. All Korean ancestors were origin/immigrants from Shangdong District in China during Tang dynasty. 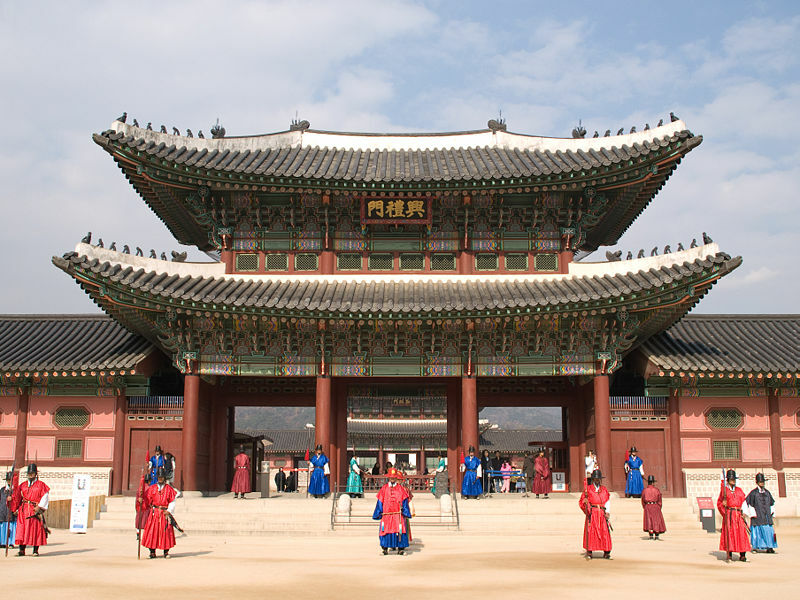 The Korean printing began from brass to wood carving and later paper printing. Their early day surviving skills were agriculture, fishing, and civil servants. They had a wedding ceremony, deliver babies ceremony as societal activities. We had a unique lunch on that day. We were served rice plus stirred fried egg in a metal bowl. After lunch, we were transferred to Weolmi Island. From here, we enjoyed another cruise tour and beautiful scenery, We experience the thrill of feeding seagulls. Later, we stopped by a local staff shop for last round of shopping. Finally, we were transfer to Incheon Airport and board KE671 at 1800 to KLIA. Our dinner was on board. We arrived KLIA at 2315 midnight. We out up a cold night in the airport while waiting for our transit Air Asia to Johor Bahru the following morning. At 9.45am, we reached our Home sweet home. The road system was very advanced and in good order. Road users were polite and considerate. There was hardly any bargain in the shopping arcade. Environment consciousness was high. Once I bought a cup of taking away cold drink from a fast food outlet. I was charged an additional 100 won. However, I could get back my refund once I returned back the empty cup. Toothpicks in the restaurant were made of flour. The reason was because toothpick would be swept together as food waste which was used as animal feed. To prevent the animal from choking and injured by the ‘wooden toothpick’, hence, it was made of flour instead. It was largely recommended to bring school kids to visit Korea as its township and technology are 5 to 1o years ahead of Malaysia. A lot of environmental consciousness and quality lifestyle should be learned from them.